Beyond Rannerdale Knotts on the left lies the northern peak of Mellbreak. 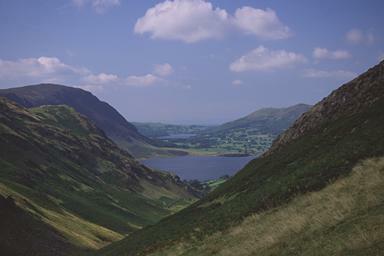 In the centre of the picture lie Crummock Water and Loweswater beyond, with Darling Fell and Low Fell to its right. Larger version of this picture.